Black Trillium Fibres is returning to Stitches West this year with fresh new designs from Kirsten Kapur, Sivia Harding & Andrea Mowry, as well as show-exclusive shaded speckles and limited edition kits. We’ll dazzle you with a rainbow of gradient mini-skein packs - 60 color choices in all - and a wealth of speckles, solids, and layered colors on our 100g skeins. So come find your fade, color your world and get inspired in booth 746/748! Knitmore listeners get 10% off when they mention “Gigi” at checkout. Jasmin has picked up her Poly Chevron Cowl again!. This is the Frank It Up kit from Black Trillium Fibre, and mentions the clips that keep the knitting neatly rolled up. Gigi is knitting the U-Turn Socks by General Hogbuffer. Out of Kroy from "New Directions in Sock Knitting". she has been organizing her pile of dpns.needs to buy DPN coils. - Stitches West 2017, February 23-26, at the Santa Clara Convention Center. 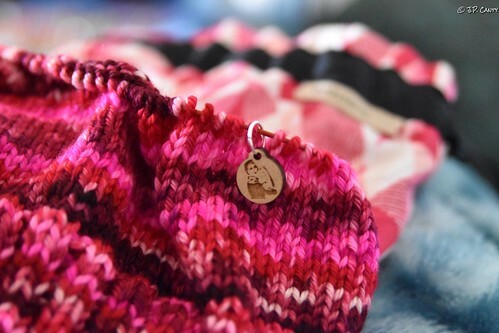 - We talk about the #knitmorebuymore form for #StitchesWest: if you're a vendor and want to participate, click the link and fill out the form! Jasmin wore her Kit Kat hat, breezy cardigan, 3 color cashmere cowl. Genevieve wore her cat hat, coronation cardigan, and Elsa sweater. Rex wore the Quynn hat, Sherlock hat, And his monster pants. 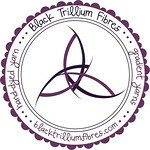 Next weeks prize is a skein of sock yarn from Black Trillium Fibres. Today's show is brought to you by Audible, please go to audible.com/knitmoregirls to get a free 30 day trial. 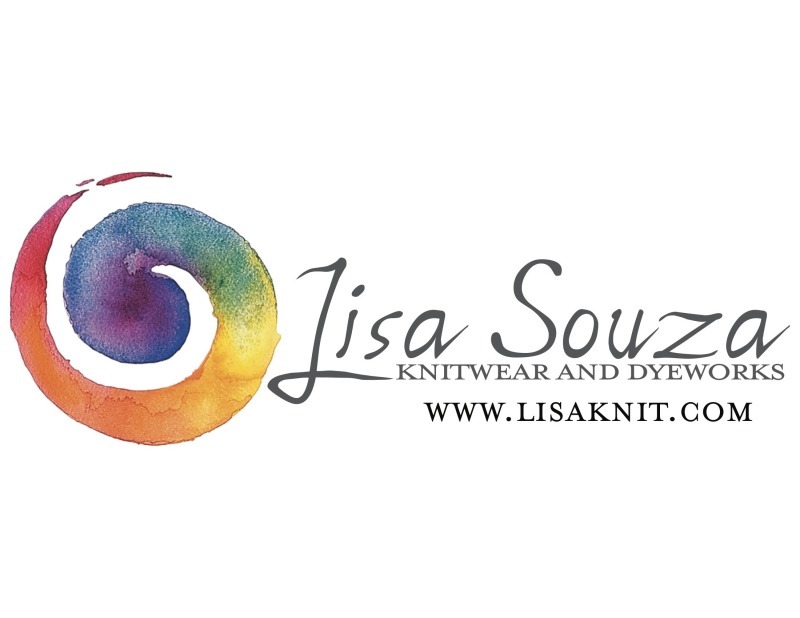 Be your own sweetheart, this Valentine's day, and indulge yourself in Lisa Souza's very affordable and fabulous cashmere and cashmere blend yarns and fibers. Remember your favorite story from childhood with a fresh, modern kit from Little Skein in the Big Wool. We’ll be at Stitches West with a brand new kit inspired by Beauty and the Beast, and eight brand new yarn colorways inspired by the Enchanted Forest, including exclusive hand-dyed yarn from Voolenvine, Gynx and more. 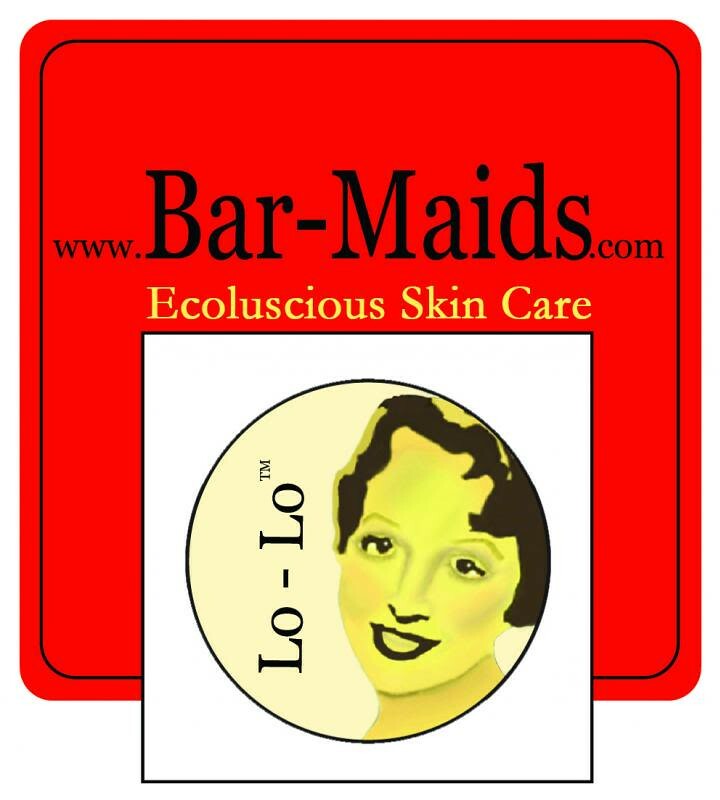 See us at booth 1038, or online at littleskein.com. Gigi has bound off the Puerto Montt by Martina Behm, out of Rohrspatz and Wollmeise. (Strick Mich! Club). 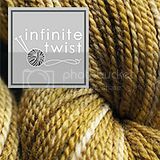 Gigi is knitting Vanilla socks out of Regia Extra Twist Merino Color. This is her second pair this year. Gigi wore knitted socks the Quynn hat , and 2016 socks, the Lorelei möbius by Sivia Harding, and loves the way it wears. And she wore her Kit Kat hat to the Planned Parenthood march. Jasmin wore her Kit Kat hat. Genevieve wore her cat hat, duck sweater (yoked cardigan), and Elsa sweater. Rex wore the Quynn hat. And his monster pants. -------------------------------------------------------------------------------------------------------------------------------------#projectsweaterchest. This is the sweater equivalent of #operationsockdrawer. We want to encourage you to knit yourself a chest full of sweaters. This weeks winner is MissLavelli, host of Inside Number 23, a knitting and sewing vidcast. This week we answer a question from the What do you want to hear about? thread in the Knitmore Girls Ravelry group about convention etiquette. Jasmin mentions the movie Memento . Jasmin mentions Specialties for sandwiches. Gigi did Judy’s amazing cast on for a preemie hat, and managed to get a purl ridge on the top of a Kit Kat hat. Knitting preemie Kit Kat hat, she needed to measure on the cm side, used the inches side to measure. Storing dpns with rubber bands leaves messy residue. She is planning to get more coil needle holders. Jasmin mentions Genevieve's saffron colored cardigan. Gigi has been organizing the sewing area, and she has been organizing her pile of dpns. Compassion powers, activate! Now through March 1, Knitcircus is giving away up to $500 for finished shawls and collecting hats for Halos of Hope; use the free Kindness KAL shawl pattern or choose a shawl you like best. 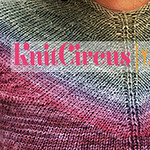 Join the fun in the Knitcircus Ravelry Group. Jasmin is working on a KitKat hat for Elizabeth (our NICU liaison) out of Knitted Wit’s Be Mine colorway. #yarnlovechallenge. She is talking about getting short knitting needles from Brittany. She mentions the lovely bag that Emily from Knitting Butterflies made for Genevieve, and the lovely bag from Little Skein in the Big Wool. Also she is thinking of making dryer balls out of a tender fleece. Gigi is knitting a preemie hat in the Kit Kat hat style. 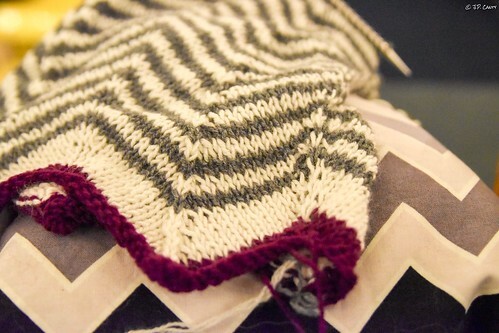 Jasmin has also finished the sleeves to the Anna cardigan, and is nearly done joining them to the body. She wants to finish the Sheep cardigans so the kids can wear them to Stitches. Gigi has picked up Sidewalk sweater out of Venezia Bulky (discontinued yarn). She is fretting about the sleeve decreases. Grown collection by Kate Oates. Jasmin has picked up her Poly Chevron Cowl again! Jasmin has been working on the #Yarnlovechallenge. Jasmin loves the Geeky Girls Knit Photo-a-day challenge. Gigi is working on the Puerto Montt by Martina Behm. Out of Rohrspatz and Wollmeise. (Strick Mich! Club) and is working on the the second side part. 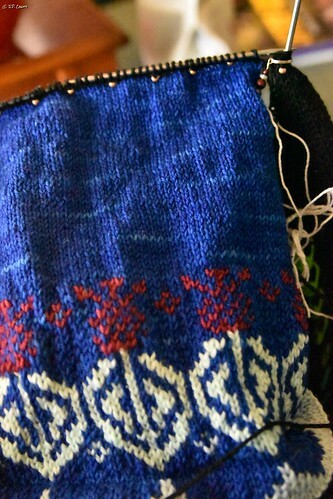 It is mostly bound off, she needs to thread beads for the last 5 stitches. Sam wore the Alien scarf by Debbie Stoller, the Color affection and the daybreak in San Jose sharks colors. Gigi gushes about the Mexican Hot Chocolate colorway by Voolenvine, out of which she wants to knit one of Sivia's designs. Jasmin wore her Greyhaven hat. Genevieve wore her cat hat, duck sweater (yoked cardigan), Playful Stripes cardigan,and Elsa sweater. Rex wore the Quynn hat. The Meet and Greet will be at noon on Saturday in the Erin Lane booth. Jasmin says to bring a tea infuser to Stitches with you. greenstockings won the King Cake colorway from Mintrain. This episode's prize is a set of Namaste "Oh, SNAP!" bags from A Good Yarn in Sarasota. This week we answer a question from the What do you want to hear about? thread in the Knitmore Girls Ravelry forum about cold feet in wool socks. We are looking to do gather anecdotal evidence and data for the Cold Foot experiment: Put a cotton sock on one foot, and a woolen sock on the other foot and tell us if there is a difference in how warm your feet feel. Jasmin mentions the Waldorf Knit a Square Book, our interview with Nicky Epstein, Nicky Epstein's books on Edgings, Rebecca Danger's books (her Monster books), Susan B. Anderson, and Mochimochis. Jasmin spun a bit on the Device during Virtual Knit Night. Gigi has been working on the Grinch bags, pressing. They are ready for having grosgrain ribbon sewn on. We should conscript Genevieve to put in the drawstrings.